Usually cited as the first European to set foot in British Columbia, James Cook posthumously published the fifth earliest account in English of the first British landing in British Columbia. Upon visiting Nootka Sound in 1778, Cook correctly predicted why Aboriginals would willingly participate in the ensuing fur trade. He suggested that constant trade with foreigners "would increase their wants, by introducing them to an acquaintance with new luxuries; and, in order to be enabled to purchase these, they would be more assiduous in procuring skins, which they would soon discover to be the commodity most sought for; and a plentiful supply of which, I make no doubt, would be had in the country." No preceding voyage-and no voyage since-has surveyed so much territory as James Cook's third and final Pacific voyage that reached Nootka Sound on March 30, 1778. The great, dispassionate mariner navigated between 49º S in the Antarctic to 70º N in the Arctic, while amassing new information on the peoples, coastlines and islands of the five great oceans. Although he failed to reap the reward of 20,000 pounds offered by the British Admiralty if he could discover the fabled Northwest Passage, his readings of longitude would prove that continental North America, particular its western portion, was much wider than previously imagined. Cook's much-edited journals became the main catalyst for the North Pacific fur trade as soon as his men learned that sea otter fur was highly prized by wealthy mandarins in China. Cook confirmed what he knew from Russian accounts, that sea otter fur was "certainly softer and finer than that of any others we know of," and he stated, "There is not the least doubt that a very beneficial fur trade might be carried on with the inhabitants of this vast coast." Nonetheless the lionization of James Cook has been questioned by Sri Lankan anthropologist Gananath Obeyeskere in The Apotheosis of Captain Cook. He debunks the notion that Hawaiians presumed Cook was their god Lono returned to them and alleges Cook was a narcissistic, melancholic bore who appeared enlightened at home but was increasingly tyrannical at sea, contemptuous of natives with their "savage ways,"; burning their villages and flogging his own men for misdemeanors. Cook did not intentionally allocate the term Nootka to the people now known as the Nuu-chah-nulth. He wrote, "were I to affix a name to the people of Nootka, as a distinct nation, I would call them Wakashians, from the wakash, which was very frequently in their mouths. It seemed to express applause, approbation, and friendship; for when they appeared to be satisfied, or well pleased with any thing they saw, or any incident that happened, they would, with one voice, call out, Wakash! wakash!" Neither was Cook directly responsible for the term Friendly Cove. That name for Maquinna's summer village at Yuquot arose from the visit of the English fur trader James Strange in 1786. Although Cook took care to anchor away from Yuquot, his crewmen did variously record their contacts with Chief Maquinna's people and have since been blamed with the introduction of venereal disease. After visiting Nootka Sound, Cook proceeded north through Bering Strait and into the Arctic Ocean, finding great walls of ice that blocked his search for a Northwest Passage. En route, his men continued to trade with Aboriginals along the coast of Alaska. Cook wrote, "The articles which they offered to sell were skins of bears, wolves, foxes, deer, raccoons, polecats, martens, and in particular sea otters. They also brought weapons such as bows, arrows, and spears, fishhooks, instruments of various kinds, and wooden visors of many different monstrous figures. The most extraordinary of all articles which they brought to the ships for sale were human skulls and hands not yet quite stripped of the flesh, which they made our people plainly understand they had eaten..."
Cook headed back to the warmer Sandwich Islands (Hawaii) where he was famously stabbed to death on February 14, 1779. He had been investigating the alleged theft of a large boat by an islander. In frustration, Cook captured the Hawaiian king at Kealakekua Bay, hoping to ransom him for the return of his boat. Sensing danger, Cook released the King before a crowd of several thousand islanders. When an islander made a threatening gesture, Cook turned and fired. The extent to which Cook provoked his own demise is a matter of conjecture. The crowd rushed forward. During the fracas, Cook was stabbed and drowned in the surf. Four shipmates were also killed as his men fled back to their ship. It has never been clear whether Cook was stabbed in the back or not. Lieutenant James King did not witness the killing but he reported "it was remarked that while he faced the natives, none of them had offered him any violence, but that having turned about, to give his orders to the boats, he was stabbed in the back, and fell with his face into the water. "; There has been speculation that Cook was ill at the time, and perhaps his judgment of the situation was impaired. Evidence that he had become unusually cruel towards his crew is contained in John Ledyard's memoir of the voyage. The Sandwich Islanders hacked Cook's body into sections, taking it away. When some of Cook's body parts and his scalp were returned a few days later, Cook's crew went on a rampage, shooting many islanders and burning their village. A week later, the remains of Captain James Cook were buried at sea. It is not unreasonable to suggest that Hawaiian Islanders were rancorous partly because they had realized the the extent to which Cook's men had infected their populace with venereal disease during a preceding visit. David Igler, in the June, 2004 issue of The American Historical Review, has noted, "In crossing these sexual boundaries, shipping crews inevitably and knowingly transmitted their exceedingly high rates of venereal disease. The English crews aboard the ships Resolution and Discovery, for instance, were so debilitated by venereal disorders that Captain Cook delayed the ships' departure from Tahiti in 1777. Reaching the southern shore of Kaua'i in January 1778, Cook feared the epidemiological impact his men would have on Hawaiian women. Due to the "venereal complaints" suffered by his crew, he "gave orders that no Women, on any account whatever were to be admited on board the Ships,... also forbid all manner of connection with them, and ordered that none who had the venereal upon them should go out of the ships." But "connections" inevitably took place, and Cook was left with the knowledge that "the very thing happened that I had above all others wished to prevent." The British Admiralty published an edited account of Cook's voyages in three quarto volumes and a large atlas in 1784-1785, now generally known as A Voyage to the Pacific Ocean. The journals were heavily edited by Dr. John Douglas, Bishop of Salisbury. As commissioned by the Lords of the Admiralty, Douglas embellished much of Cook's original journals with material gleaned from Cook's officers. In particular, Douglas extrapolated from Cook's reports of ritualistic dismemberment among the Nootka, beginning the belief that the Indians engaged in cannibalism when Cook had, in fact, described them as "docile, courteous, good-natured people. "; Some of the more sensational revelations added to the text were designed to encourage the spreading of "the blessings of civilization"; among the heathens and to help sell books. For almost 200 years Douglas' version of Cook's writings was erroneously accepted as Cook's own. Cook's journal, with its bloody ending supplied by James King, proved popular. Within three days of its publication in 1784, the first printing was sold out. There were five additional printings that year, plus 14 more by the turn of the century. Translations were made throughout Europe. The original version of Cook's journal was edited by J.C. Beaglehole and finally published for scholars in the 1960s. It reveals that Cook was a somewhat dull reporter, more interested in geography than anthropology. The major English voyages to British Columbia in Cook's wake were commanded by Hanna (1785 and 1786); Strange (1786); Lowrie and Guise (1786-1787); Meares and Tipping (1786-1787); Portlock and Dixon (1786-1787); Duncan and Colnett (1787-1788); Barkley (1787), Meares and Douglas (1788); Douglas and Funter (1789); and Colnett and Hudson (1789). 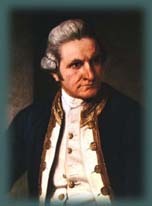 More information about the life and times of James Cook is easily gleaned from dozens of biographies and from www.captaincooksociety.com. Anderson, George William (editor). A New, Authentic and Complete Collection of Voyages Round the World, Undertaken and Performed by Royal Authority. Containing an Authentic, Entertaining, Full, and Complete History of Capt. Cook's First, Second, Third and Last Voyages (London, 1784-1786). Beaglehole, J.C. (editor). The Journals of Captain Cook. Vol. I. Endeavour (Cambridge University Press for the Hakluyt Society, 1955). The Journals of Captain Cook. Vol. II. Resolution, Adventure (Cambridge University Press for the Hakluyt Society, 1961). The Journals of Captain James Cook. Vol. III. The Voyage of the Resolution and Discovery 1776-1780. (Cambridge University Press for the Hakluyt Society, 1967). The Journals of Captain Cook. Vol. III. Parts 1 & 2, Resolution and Discovery contains Anderson's journal, and extracts from the journals of Clerke, Burney, Williamson, Edgar and King. Edwards, Philip (editor). The Journals of Captain Cook (Penguin, 1999). Kippis, Andrew. The Life of Captain James Cook (London, 1788). Republished as A Narrative of the Voyages Round the World performed by Captain James Cook with an account of his life during the previous and intervening periods (London, 1842). Low, Charles R. Captain Cook's Three Voyages Round the World (London, 1876). Kitson, Arthur. Captain James Cook R.N., F.R.S. The Circumnavigtor (London: John Murray, 1907). Taylor, Albert Pierce. Sesquicentennial Celebration of Captain Cook's Discovery of Hawaii (Honolulu: Archives of Hawaii, 1929). Carruthers, Sir Joseph. Captain James Cook, R.N., One Hundred and Fifty Years After (New York: E.P. Dutton and Co., 1930). Howay, F.W. (editor). Zimmerman's Captain Cook, 1781 (Toronto: Ryerson, 1930). Stokes, J.F.G. Origin of the Condemnation of Captain Cook in Hawaii (London, 1930). Beaglehole, J.C. Exploration of the Pacific (London: Black, 1934). Gould, Rupert T. Captain Cook (London, 1935). Campbell, Gordon, Vice-Admiral. Captain James Cook, R.N., F.R.S. (London, 1936). Carrington, Hugh. The Life of Captain Cook (London: Sedgewick & Jackson, 1967; first published 1939). Muir, John Reid. The Life & Achievements of Captain James Cook, R.N., F.R.S., Explorer, Navigator, Surveyor & Physician (London: Blackie & Son, 1939). Lloyd, Christopher (editor). The Voyages of Captain Cook Selected from his Journals (London: The Cresset Press, 1949). Homes, Sir M. Captain Cook R.N., F.R. S.: A Bibliographical Excursion (London, 1952). Price, A. Grenfell (editor). The Explorations of Captain James Cook in the Pacific (1958; Sydney, Australia: Angus & Robertson, 1969). Moorehead, Alan. The Fatal Impact: An Account of the Invasion of the South Pacific, 1767-1869 (New York: Harper & Row, 1966). Villiers, Alan. Captain Cook (London: Hodder and Stoughton, 1967). Beaglehorne, John Cawte. Captain Cook and Captain Bligh (University of Wellington, N.Z., 1967). Rienits, Rex & Thea. The Voyages of Captain Cook (London, New York: Paul Hamlyn, 1968). Dale, Paul W. Seventy North to Fifty South-Captain Cook's Last Voyage (New Jersey: Prentice Hall, 1969). Skelton, R.A. Captain James Cook: After Two Hundred Years (London: The Hakluyt Society, 1969). Bushnell, O.A. The Return of Lono: A Novel of Captain Cook's Last Voyage (Honolulu, 1971). Syme, Ronald & Warner Forman, The Travels of Captain Cook (New York, London: McGraw-Hill, 1971). MacLean, Alistair. Captain Cook (William Collins Sons, 1972). Beaglehole, J.C. The Life of Captain Cook (London: Adam & Charles Black, 1974). Paluka, Frank. The Three Voyages of Captain Cook (Beta Phi Mu, Pittsburgh PA USA 1974) [Chapbook number 10]. Conner, D. & L. Miller, Master Mariner. Captain James Cook & the Peoples of the Pacific (Douglas & McIntyre, 1978). Greenhill, Basil. James Cook: The Opening of the Pacific (Palo Alto: Pendragon House, 1978). Efrat, Barbara. Langlois, J (editors). Captain Cook and The Spanish Explorers in the Coast Volume VII, No. I (Sound Heritage, Royal B.C. Museum, 1978). Greenhill, Basil. James Cook: The Opening of the Pacific. (Palo Alto: Pendragon House, 1978). Innes, Hammond. The Last Voyage: Captain Cook's Lost Diary (London: Collins, 1978). Kaeppler, Adrienne L. (editor). Cook Voyage Artifacts in Leningrad, Berne and Florence Museums (Honolulu: Bishop Museum Press, 1978). Kennedy, Gavin. The Death of Captain Cook (London: Gerald Duckworth & Co. Ltd., 1978). Uncredited. Captain Cook & the Nootka (CommCept Publishing, 1978). 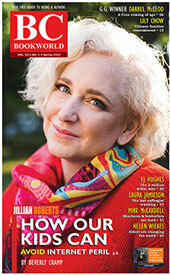 45 p.
Fisher, Robin & Hugh Johnston, (editors). Captain James Cook and His Times (University of Washington Press, 1979). Gray, William R. Voyages to Paradise: Exploring in the Wake of Captain Cook (Washington D.C.: National Geographic Society, 1981). Gilbert, George. Captain Cook's Final Voyage: The Journal of Midshipman George Gilbert (Horsham, Sussex: Caliban Books, 1982. Introduced and edited by Christine Holmes. MacKay, David. In the Wake of Cook: Exploration, Science and Empire, 1780-1801 (London: Croom Helm, 1985). Carter, Paul. The Road to Botany Bay: An Essay in Spatial History (London: Faber & Faber, 1987). Joppien, Rudiger & Bernard Smith.The Art of Captain Cook's Voyages, The Voyage of the Resolution and Discovery 1776-1780 (Yale University Press, 1988). David, Andrew. The Charts and Coastal Views of Captain Cook's Voyages. Vol. 1. The Voyage of the Endeavour, 1768-1771 (Hakluyt Society, 1988). Cordingly, D. Captain Cook Navigator (London: National Maritime Museum, 1988). Withey, Lynne. Voyages of Discovery: Captain Cook and the Exploration of the Pacific (University of California Press, 1989). David, Andrew. The Charts and Coastal Views of Captain Cook's Voyages. Vol. 2. The Voyage of Resolution and Adventure, 1771-1775 (Hakluyt Society, 1992). Obeyesekere, Gananath. The Apotheosis of Captain Cook: European Mythmaking in the Pacific (Princeton, New Jersey: Princeton University Press, 1992). Hough, Richard. Captain James Cook (Coronet, 1995). Sahlins, Marshall. What 'Natives' Think: About Captain Cook, For Example (University of Chicago Press, 1995). David, Andrew. Charts and Coastal Views of Captain Cook's Voyages: Volume Three: The Voyage of the Resolution and Discovery 1776-1780 (Hakluyt Society, 1997). Barrow, John (editor). The Voyages of Captain Cook (Wordsworth Editions Ltd, 1999). Villiers, Alan. Captain Cook: The Seamen's Seaman (Penguin Books, 2001). Collingridge, Vanessa. Captain Cook: Obsession and Betrayal in the New World (Ebury Press, 2002). Richardson, Brian W. Longitude and Empire: How Captain Cook's Voyages Changed the World (UBC Press, 2005). Barnet, James and David Nicandri, eds. Arctic Ambitions: Captain Cook and the Northwest Passage (Heritage House 2015). [Alan Twigg / BCBW 2015]"English"